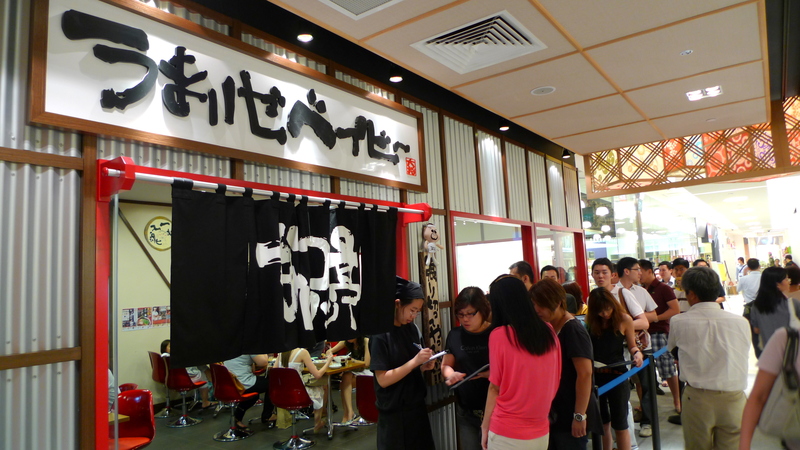 Singaporeans are really crazy about ramen! First it was the Ippudo craze(I still can’t get over the fact that my 4 friends and I forfeited a movie after queueing 1.5 hours in line for their soft opening, all for an bowl of average noodles…) and now it’s Nantsuttei and Keisuke(opposite Nantsuttei @ Millenia Walk). But the strong-willed food hunting individual is never deterred by such petty and trivial issues such as queues right? Basic Ramen($12++) comes in a darkish broth with lots of sesame garlic oil, beansprouts, chashu, a piece of seaweed and spring onions BUT NO EGG though you can add it as I did for an additional $1. On first impression, I really loved the broth which was made fragrant by the sesame garlic oil and especially the noodles which was very springy and QQ(imagine it snapping back like a rubber band after it breaks upon chewing) but after a while, the stock got a bit too overwhelming because of the excess of oil. The chashu here was also quite average, a far cry from Santouka’s(which I consider best) and even Ippudo’s. The egg was fairly well done though slightly overcooked. 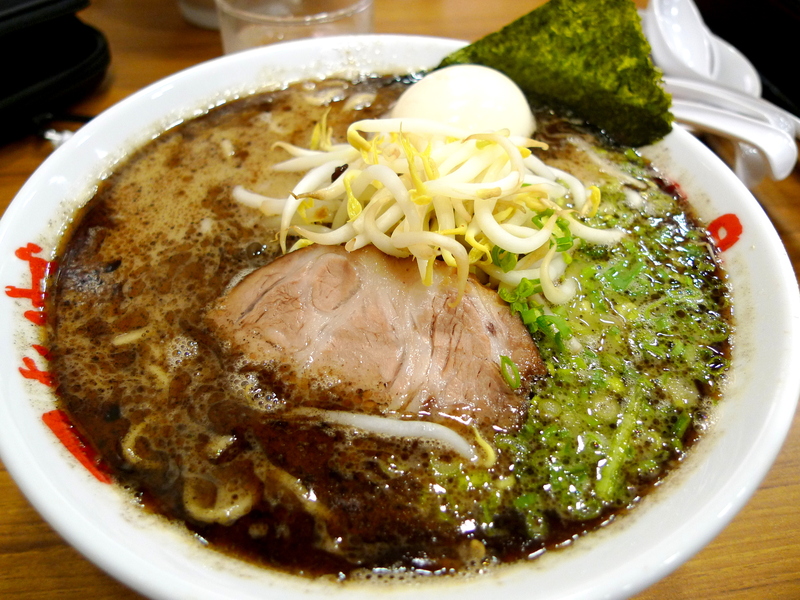 Ok, I shall place more empahsis on the noodles, it’s my favourite from the local ramen scene so far. If you fancy something spicy, try out the Dragon Ramen($15++). 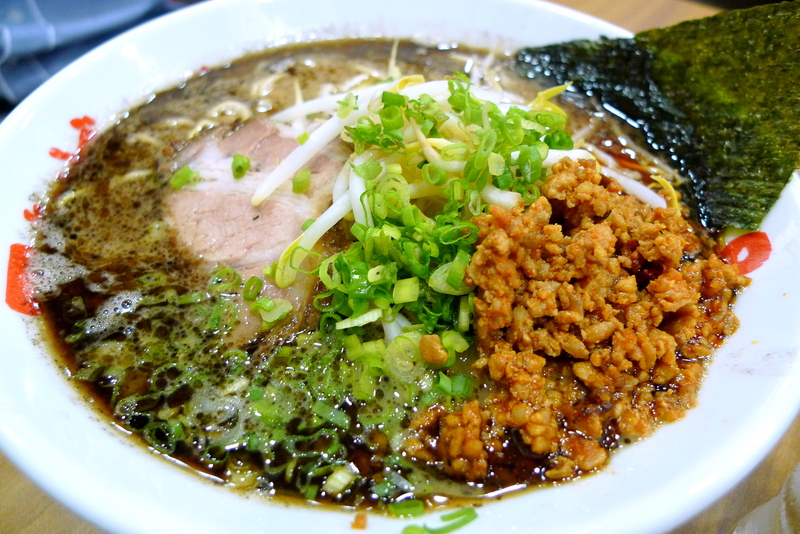 It’s essentially the same as the Basic Ramen but with additional spicy minced meat. I would recommend most to stay clear of this since just a small sample sip of the broth caused 3 of the 4 of us to scramble for our glasses. Another random fact for you…Milk is the most effective drink to eliminate the spicy sensation experienced(caused by an oil called capsaisin) due to a chemical present in milk(casein) which attracts the capsaisin from your tongue. Water doesn’t help since capsaisin is insoluble in water and alcoholic drinks do nothing more than to magnify the burn. Other acidic drinks such as lemonade, tomato juice or orange juice can also counteract capsaisin. Hope this info can save the few people who do decide to venture into the Dragon’s lair. I enjoyed the Gyoza($6++). There was a fair bit of gravy inside the dumplings so it reminded me of a pan-fried xiao long pao. Portions here are large and despite enjoying the ramen, the broth left an undesirable unctuous feeling in my gut that lingered on for quite some time. Still, I would definitely consider the ramen here to be among the top 10 in Singapore. ayye, how was the ramen?? I know this damn good ramen place that near gallery hotel. its called miharu. the ramen’s frikkin gooood!! 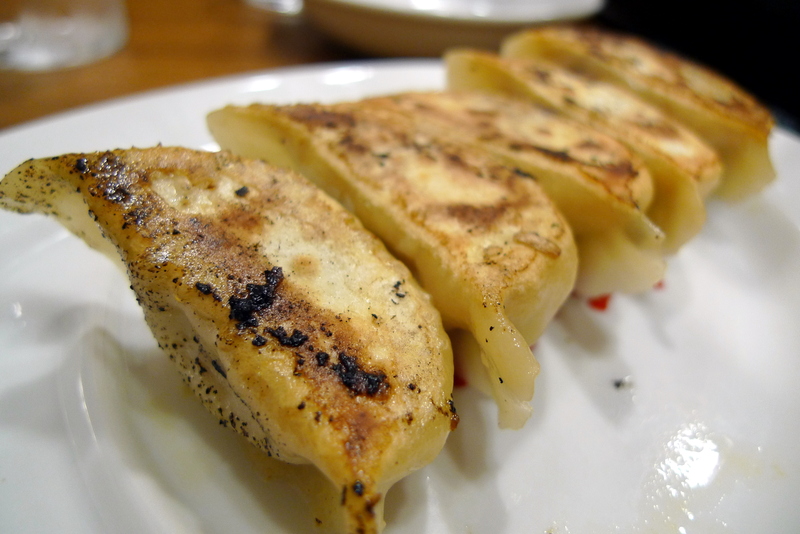 and they serve the the traditional japanese egg and the gyoza is heavenly. not too bad but eat a while den very gelat coz very oily. i find miharu’s a bit too salty leh haha.